We own a couple Christmas picture books, but not as many as I would like, so we picked up a bunch from the library. Here are five of our favorites for this year! This was just a random one that I picked up off of the shelf at the library because my kids love crickets. Why do they love crickets? Because I HATE them. This is a really short story about a cricket who is cold, so he hops into someone's house and into their Christmas tree. The little girl hears him and wonders if it is an angel ornament singing. Her father explains that "angels sing in the songs of birds, and frogs and people and crickets." It's a nice feel good story that is appropriate for very young kids. Another random library pick up. This one is by Max Lucado, and I tend to love his work, especially You are Special. 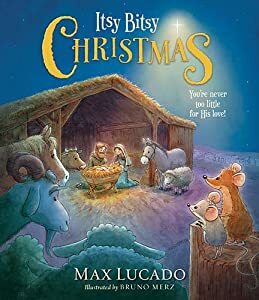 This book is a telling of the Christmas story, emphasizing how God sent a King to a little unimportant town; how God sent a King to all of us, even the little mice and grumpy goat. I appreciate this book because it focusing on how important Jesus is and how God sent him because he loves each and everyone of us. 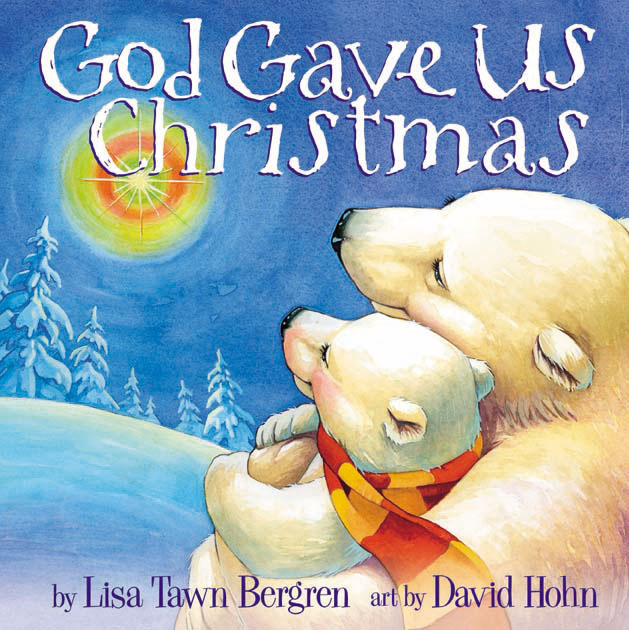 God Gave Us You is a staple in our house, so when I realized there was a Christmas version I requested it from the library. This continues the story of Little Cub who is the main character in most of the God Gave Us... books. It starts with Little Cub asking if Santa invented Christmas. The mother bear explains that it was God who invented Christmas and that God is much more important than Santa Claus. This is a good one if your kids believe in Santa because it does a good job of explaining the relative importance of Santa and Jesus. It says that Santa is a part of Christmas to remind us of generosity and caring. This was a book that we stumbled upon last year at the library and enjoyed so much that I made sure to request it this year. I would buy it, but I'm guessing it must be out of print because even used copies are rather expensive! This book is the classic christmas song, but unlike other books which only talk about the usual animals, this one has a peacock and a lion and even a woodworm! 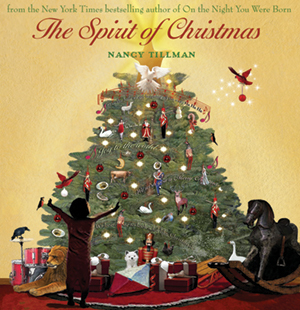 Stunning illustrations and interesting animals make this our absolute favorite book this Christmas season! Enjoy more Five Favorites @ MoxiWife!